Find out more about product innovations and best solutions for the food and beverage industry. Welcome to the JUMO food and beverages newsletter. the food and beverage industry. As usual JUMO offers individual solutions for your requirements – with maximum efficiency and excellent plant availability. JUMO digiLine network continues to grow! New additions to the product range are sensor variants for the most important parameters in water disinfection such as free chlorine, total chlorine, ozone, hydrogen peroxide, bromine, and peracetic acid. to the past! 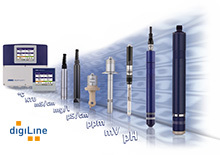 The new JUMO temperature and pressure sensors with IO-Link – JUMO dTRANS T1000 and JUMO dTRANS p35 – help to efficiently increase plant availability. 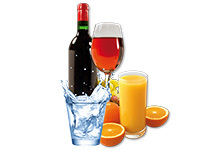 In the newly revised brochure for beverage technology we depict the most important processes in this area and point out which measurands are used. We will also gladly assist you with the development of new products to expand your own market leadership.